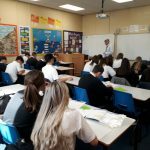 Haven High Academy was delighted to inform students of their achievements across a wide range of GCSE, vocational and skills based qualifications. There has been a very significant increase in the number of top grades with almost 25% of all students being awarded a Grade 7 or equivalent or better. Particular students who have excelled (in alphabetical order) include: Leah B ( 3×7, 2×6, 3×5) Kieva C (1×8, 1×7, 5×6), Anne M D (3×7, 1×6, 4x 5), Emmie D (1×9, 4×8, 3×7, 1×6), Alice H (3×9, 6×8, 1×7), Natalia K (1×9, 1×8, 4×7, 4×6, 1×5), Arturs K (1×8, 3×7, 4×6) Andrejs K (4×8, 1×7, 6×6), Megan L(1×9, 4x7s, 4×6) Shayla M (3×8, 2×7, 1×6, 1×5) and Eimantas R(2×8, 6×7, 3×6). The new academic year is fast approaching and it is important to start the year with all of the correct equipment and information you need to start the new year successfully. Below is a helpful interactive guide that has some core information that will help to support you with getting ready for September. 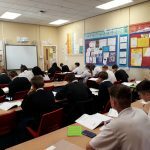 This year we have signed up to an outstanding revision resource for our learners within Haven High Academy. 3) Enter your name, date of birth and type in the name of your school. The school’s name should appear in the dropdown list, click on it to confirm. Designed to squeeze exactly the right knowledge needed for exam success into short 3-5 minute chunks. Helps with learning, homework and revision. Listen to GCSEPod anywhere its like you’re carrying a whole world of knowledge and revision in your pocket.